If reviewing expenses feels like heavy labor, let us lighten the load. 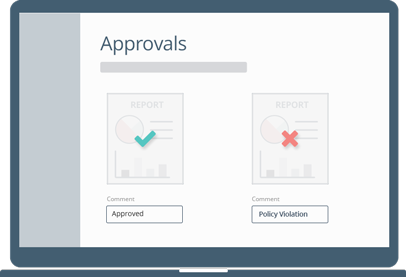 Approve or reject expense reports with a click of a button. 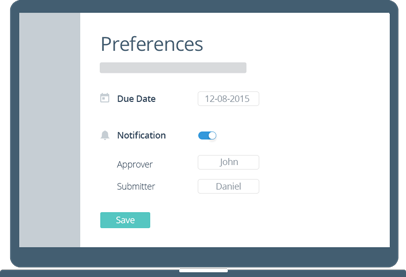 Create custom approval flows for every employee or department. 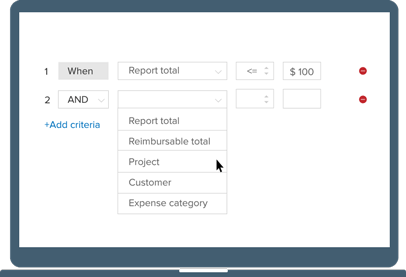 Criteria-based approval lets you create unique approval flows for your expense reports. Your desk is a mile high with expenses awaiting approval. Not anymore. Streamline and simplify the way you approve of expense reports and get it done in a fraction of the time. Review and approve expense reports with ease. Reject reports with policy violations, with an appropriate reason. What's more, you can even automate approval or rejection based on specific criteria. You can set due dates for giving approvals, and send notifications to approvers and submitters when reports are submitted and approved, respectively.